E3 2016 has come and gone, but this show has felt bigger – and more focused – than it has in years. A lot of that is due to the major shifts due in the industry over the next two years with a new console from Nintendo, console upgrades coming from Sony and Microsoft like PlayStation VR, Xbox One S and Project Scorpio, and a barrage of VR options due before the end of 2017. This last week in Los Angeles laid out plans for games that will leverage these technologies while others change the gaming landscape in other ways – from how stories in games are presented to the way we play together in online virtual worlds. While some E3s are filled with more of the same regurgitated franchises, this year was far more future-focused with at least a handful of titles that could potentially move the industry forward. Without further ado, here are 10 games that I think will totally change the way games are made. 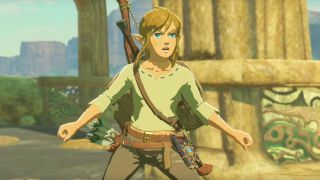 The next Legend of Zelda release may be the most important game in Nintendo history, and it's easy to see why it was the sole focus of Nintendo's E3 presence. The Wii U has fallen far short of expectations, and Breath of the Wild is the lynchpin in Nintendo's "win or go home" NX console. Not to sound dramatic here, but if Breath of the Wild is a flop, Nintendo could be going the way of Sega. But therein lies the game's significance: The Legend of Zelda is Nintendo's number one pick to lead the next-generation of Nintendo NX games. It's what developers will use as a blueprint to follow when making their games, and sets a certain expectation that every other game will have to live up to. That said, if Breath of the Wild is any indication, the next generation will be the best one in a very long time. Virtual reality is a very tough sell at tradeshows. Whereas E3 games typically make their mark by showing instead of telling, VR is the ultimate "you have to see it yourself" technology. Even though Sony's E3 press conference brought out big VR names with the likes of Batman, Resident Evil, and Star Wars, those are all adaptation of standard games or extended tech demonstrations and therefore require a bit less work to convince gamers to invest in VR. Farpoint – a first-person shooter exclusively made for PSVR – on the other hand, showcased how established genres, ones that no one thought could work, can break through in virtual reality. Plus, it's also an omen for VR add-ons as it'll launch alongside the PS VR Aim Controller. Is the PS VR Aim Controller the only extra peripheral Sony has in store for us? We'll find out soon. While they've made great strides in storytelling and by diversifying their licenses over the last four years, 2016 is an important year for Telltale Games. For as much as they've been praised for delivering impactful stories with gut-wrenching moral choices, the frequency of criticism for their aging game engine has increased with each new series. While it'll be nice to see a new engine alongside the third season of The Walking Dead, that franchise has previous laurels to bank on. The Caped Crusader's story-driven adventure is the bigger test for Telltale – and the adventure game genre as a whole – as gamers expect action alongside their crime-solving and it's up to the new Telltale engine to deliver it. With Sony stealing the VR show at E3 thanks to the wider reach of its press conference, many of the other platforms were left out of the discussion. Lest gamers forget that Valve and Oculus have horses in the virtual race, one game that shows we're due for another platform war came in the form of Star Trek Bridge Crew. It makes sense for Ubisoft to make this simulator VR-agnostic, not only because the appeal of running a Federation vessel is universal, but because Ubisoft is attempting to show its third-party publishing peers that gamers – at least at this stage of the game – shouldn't have to decide which $600 headset they should buy. Lost in the sea of new game reveals at Microsoft's E3 press conference were the reveals of new features coming to Xbox Live. Announcements that don't involve games or hardware tend to fall by the wayside, but the new matchmaking systems coming to Xbox Live have a big showcase in the form of Sea of Thieves. Rare's seafaring adventure requires a tightly-knit team of pirates, and the ability to put out group requests to find a crew or using clubs to chat with similar-minded scallywags should serve to showcase Sea of Thieves while also highlighting the next iteration of Xbox Live. This is the type of functionality all games will one day benefit from but Sea of Thieves has the distinction of being the first to tread these unknown waters. 2016 may end up being one of the most volatile years in the history of first-person shooters. For decades, the straightforward simulators like Call of Duty, Battlefield, and even Halo have stuck to a classic structure mixing short campaigns with multiplayer modes that put every player on an even keel. But Overwatch (and to a lesser extent, Battleborn) has captured the public's attention by aiming directly at multiplayer and providing diverse classes to create a unique shooter experience. And while innovation is something that most gamers just expect from Blizzard, the fact that the shooter savants at iD Software also throwing their hat into the arcade-style hero-based shooter ring proves that these unique takes on the first-person shooter genre are more than a passing fad. The web-slinger is swinging exclusively on PlayStation 4 in a major multimedia move that might signal a change for superhero movies and licensed games. With Spider-Man now a part of the Marvel Cinematic Universe, it seems as though part of Sony's deal with Marvel emancipated Peter Parker from Activision's grasp. With the backing of a console maker and single-system exclusivity, Spider-Man on PS4 shows plenty of promise, but it also might change how movie games like these get made. Instead of third-party developed multiplatform disappointments (cough, X-Men, cough), it would behoove the likes of Microsoft and Sony to bankroll big movie games directly. Should the companies decide to follow down this route in the future, it could even save consoles and blockbuster movie adaptations in a single bound. Even though it was a commercial success, the four years since Resident Evil 6's release have revealed a drastically different survival horror landscape. Shorter atmospheric horror experiences like Five Nights At Freddy's and Outlast have amassed plenty of fans, but the Resident Evil franchise pedigree has been built on longer adventures with various settings in the course of a campaign. The first-person perspective is new territory for the series and it'll have to even out the jump-scares with combat that RE fans have come to know and love. But if they can exhibit that balance come January, Resident Evil might find itself at home atop the sales charts and leading a pack of new, first-person re-imaginings of your favorite '90s classics. With Uncharted having just set sail and a sequel likely years away, there are few blockbuster franchises that can still capture the attention of the gaming audiences. Microsoft has been releasing Halo and Gears of War games at a pretty regular pace this generation to what seems to be less-and-less commercial success. God of War, however, finds itself in a sweet spot where it has plenty of modern relevance but hasn't worn out its welcome with frequent side stories and re-releases. With every other major console franchise on store shelves by the time of its release, God of War is the biggest fight left in the console war. The question is, how hard will it hit? Until Dawn was a great showcase of the PlayStation 4's movie-level production values, but it was hidden from the public much like a scared teenager avoiding a serial killer. Granted, the horror movie premise of Until Dawn didn't make for the biggest mass market appeal, but David Cage's brand of cinematic adventures hasn't had a real shot this generation (with even higher-fidelity visuals to push it forward). For as much fun as people poke at Heavy Rain and pressing X to Jason, it was a novel experience at the time given that the game was a (somewhat) standard crime story. Detroit: Become Human has a Blade Runner-esque appeal that should cater to both sci-fi fans and esthetes looking for a little eye-candy on their new consoles. So if the story can be reigned in (a big if for Quantic Dream), Detroit could be a big system showcase that finally proves the power of the PlayStation 4 as well as equate to the first big commercial success for Cage's more artistic, hands-off style of games.